A lot of news around the spaceship Insight, whose launch is scheduled for May 5, 2018 from Vandenberg in California. 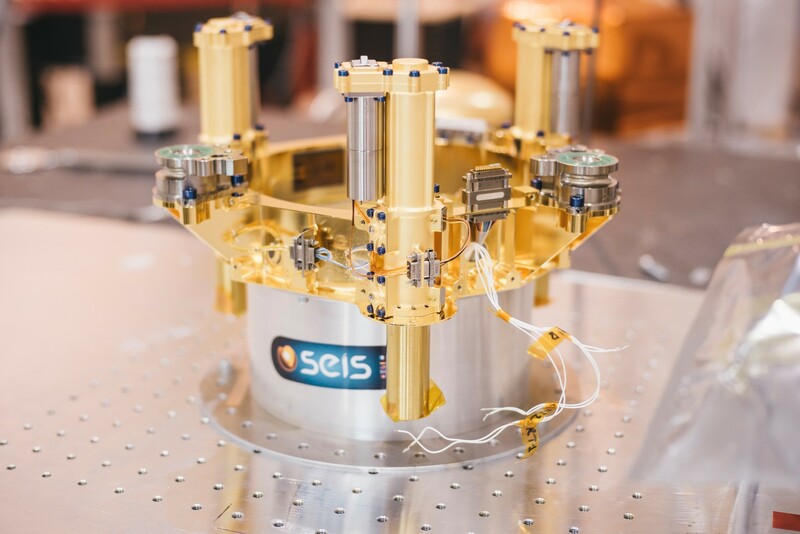 UnivEarthS supported the IPGP teams that worked on the SEIS instrument through the I3 project: Fundamental Physics and Geophysics in Space, and also funded Lucile Fayon’s thesis. InSight is the twelfth mission of the Discovery program to be launched. She was selected in May 2011 with two other finalists, Titan Mare Explorer (TIME) and Comet Hopper, and obtained funding to start phase A of the project, ie the preliminary design study. If the euphoria triggered by the spectacular landing of the Mars Curiosity rover in August 2012 may have tilted the balance a little bit in favor of InSight, it is important to remember that the scientific objectives addressed by this mission are of prime importance. order, and that at present we know almost nothing of the depths of the red planet, for lack of having been able to conduct seismic investigations on the spot. 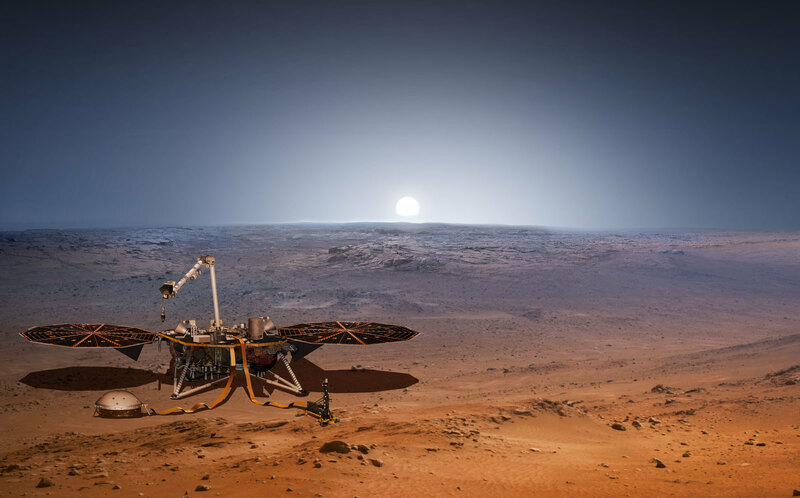 Once in, the InSight probe will take off from the Vandenberg launch center in California. This military base, which belongs to the Air Force, is not used as a starting point for Martian probes, which are rather launched from the Cape Canaveral Space Center in Florida. Unlike Vandenberg, where launches to the east are prohibited because of the presence of populated areas, the Cape Canaveral Spaceport allows fire in this direction, and therefore increase the starting speed of space probes. The InSight probe does not need the extra thrust provided by the Earth’s rotation because of the power of the used Atlas V launcher, hence the decision to launch from Vandenberg.